After the success of the much acclaimed hit cocktail, jayasuriya and anoop menon are back together in the film beautiful. With them are ‘the new age priyadarshan’ v.k.prakash and the ‘yakshiyum njanum’ heroine meghna raj. 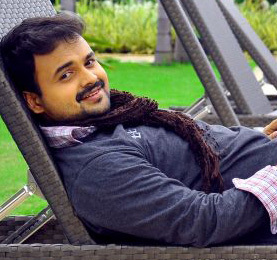 In this much awaited movie jayasuriya plays a paraplegic while anoop menon has taken the role of a musician. Meghna raj takes care of the role of a home nurse. Film is incidentally about watching out the life as a beautiful thing. Thinking positively…and enjoying the life. After a long gap from the Malayalam film industry the 4 the people hero is all set to bang the Malayalam film arena with a historical flick directed by’ p.t.kunhu Muhammad.in this film he portrays the character of Mohammad Abdul Rehman, a forgotten freedom fighter of Kerala. 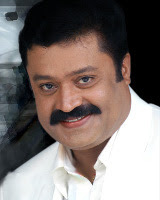 He was last seen in the prithviraj starrer ‘robin hood’ directed by joshiy. The shooting was held in various locations at Kozhikode and pollachi.reema sen plays the heroine in the movie. It is reported that the film is to depict the 1921 Malabar riots and the salt satyagraha from the angle of a Malayalee freedom fighter.the film also stars siddique, kalabhavan mani, saikumar, ashokan, mamookkoya, madhu variyar, nishanth sagar etc. FOR DISCUSSIONS, CREATE A NEW DISCUSSION THREAD AT FORUM SECTION AND ALSO COMMENT ON THE EXISTING THREADS. GO TO INDIAN RUPEE MOVIE REVIEW IF YOU LIKED THE BLOG POST , COMMENT BELOW AND FOLLOW THE BLOG ON THE TOP RIGHT CORNER OF BLOG FOR DISCUSSIONS, CREATE A NEW DISCUSSION THREAD AT FORUM SECTION AND ALSO COMMENT ON THE EXISTING THREADS. Place of Birth: Thodupuzha, Kerala. 1994 CID Unnikrishnan B.A., B.Ed.